A short walk from Stanley Village, beautiful downtown Pleasanton is a vibrant city with an appealing small-town flavor. Reflecting its rich local history in its charming architecture, Pleasanton offers a diverse array of fine restaurants and neighborhood shops in the ideal California community for raising a family. The city offers a number of private schools, and Newsweek ranked Pleasanton’s two comprehensive public high schools – Amador Valley and Foothill – among the top 400 high schools in the nation. Incorporated in 1894, Pleasanton downtown is a historic business district that includes both homes and businesses. It is big with community, life and things to do and home to almost 700 businesses – ranging from service providers to cafes to shops. You will find hair salons, spas, auto mechanics, boutiques and charming spots for a bite to eat. 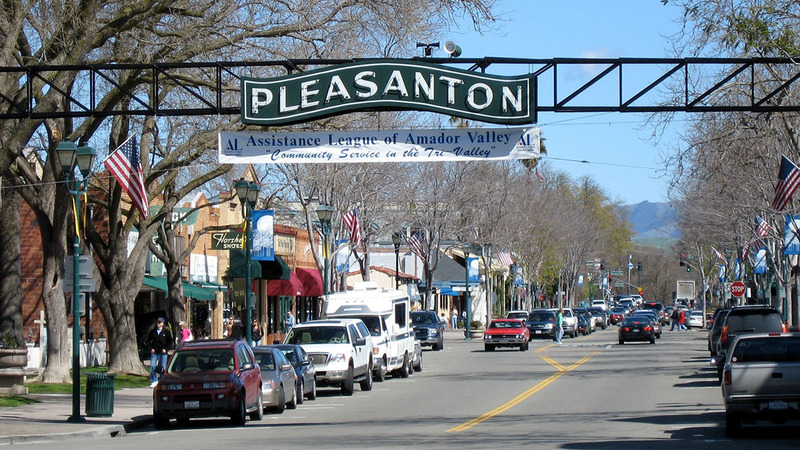 An affluent community, Pleasanton was ranked as the wealthiest middle-sized city in the United States by the Census Bureau. In 2013, NerdWallet named Pleasanton the third wealthiest city in the United States in terms of earnings. Home to major employers including Kaiser Permanente, Safeway and Oracle, Pleasanton is also home to the headquarters of Workday, Ellie Mae, Roche Molecular Diagnostics, Blackhawk Network Holdings, Patelco Credit Union, Veeva Systems, Shaklee and more. 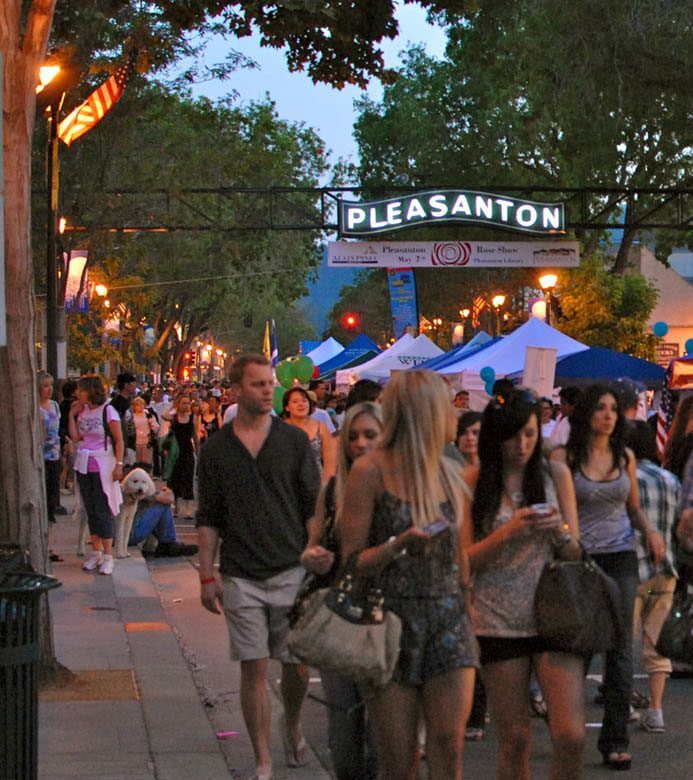 Pleasanton hosts a variety of events and attractions year round from street fairs to family events to parades and more. Top events include the Spring Antiques & Collectibles Street Fair, the First Wednesday Street Parties, Concerts in the Park and Wine Stroll. First Wednesday is an exceptionally popular downtown event. It takes place the first Wednesday of each month on Main Street from 6 p.m. to 9 p.m and features a different theme each month from June to September. Walk around the district and you can see showcases of its history. There used to be secret tunnels under Main Street that connected the buildings together. Each building its own tale, but each has a piece in the unique history of Pleasanton. Pleasanton is home to the Alameda County Fairgrounds, a 270-acre facility hosting the annual Alameda County Fair (since 1912), numerous trade shows and community events. The grounds house the Pleasanton Fairgrounds Racetrack (built in 1858 and the oldest one-mile horse race track in the United States), a 3,000 seat amphitheater, a nine-hole golf course, as well as a model train exhibit (maintained by the Alameda County Central Railroad Society since 1959).